ummer is the time for vacations and by the statistics it’s the time when the cells of photo cameras rise significantly. 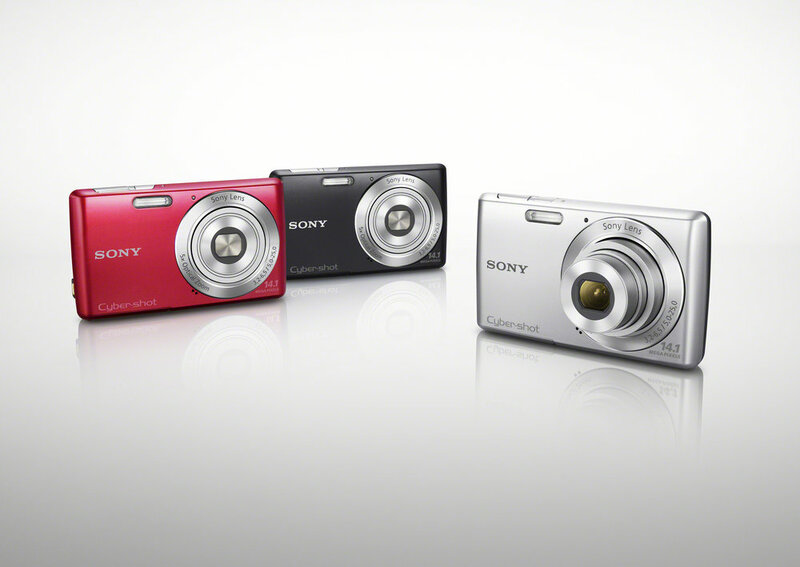 Therefore we decided to present to you the Sony Cyber-shot DSC-W620.It’s really light, compact and convenient for carrying around, because of its dimentions – 56,2 mm hight, 97,7 mm width and a thickness of 19.8 mm. The color options are black, red and gray. The picture quality is good and handling the camera is quite easy, even if that’s your very first time dealing with a digital one. But what we should focus our attention at is the camera lens. It has 5x optical zoom and 10x digital zoom, although when you’re recording in a VGA format it could be up to 33x. For example, in a 16:9 format the digital zoom is exactly 11x. The sensor is Super HAD CCD at 7.75mm. And that probably won’t mean anything to you if you’re not so familier with cameras, so we’ll try to explain. You could easily zoom at an object without disturbing the focus. Here we have a 14,1 MP equivalent with a maximum resolution of 4320 x 3240 pixels. Along with the auto focus with a pretty good range, we could mention some other great features of the Sony Cyber-shot DSC-W620. First of all there is Face Detection, which helps to keep the focus on the faces and not the landscapes behind. There’s also a Soft Skin mode, which ladies would find fascinating because it covers visible skin imperfections – for example, if you have a big red spot on your forehead, the camera puts kind of a virtual make up on in. And what’s new in the Sony digital cameras is the Smile Shutter technology, which takes a picture exactly in the moment you’ve smiled. This function, however, doesn’t work if you don’t brush your teeth often enough. That last one was a joke, of course. Also available is a 360 degree panorama maker. Another nice feature is the white balance with automatic functions for daylight, cloudy weather and artificial lighting. And you can also manually adjust it as well. The built-in flash works best in total darkness and distance to the object up to 3 meters. Its not recommended to use it for under 50 sm. Every photo you’ve captured could be seen at the 2.7 inches TFT LCD display with a 230×400 pixels resolution.